The law firm of Weisser & Wolf was founded in 1988 by Mark Weisser and Scott Wolf to provide exceptional legal counsel to injured individuals in our community. With more than 70 years' combined experience, our Cincinnati injury lawyers have the well-honed skills and extensive knowledge to achieve the best possible outcome in your case. When you retain Weisser & Wolf, you can expect personal attention and professional representation from an established firm. Some of the advantages of working with us include: -Cincinnati workers compensation lawyers Mark Weisser and Scott Wolf have earned certification as workers compensation specialists by the Ohio State Bar Association -Our firm's attorneys have earned the prestigious AVPreeminent Peer Review RatingSM from Martindale Hubbell -Mark Weisser is a member of the Multi-Million Dollar Advocates Forum an organization restricted to lawyers who have had at least one case which returned a settlement or verdict in excess of $2 million -All of our lawyers have extensive trial and administrative hearings experience -We are listed as Super Lawyers for 2008, 2009, 2010, 2011, 2012 and 2014 as featured in Cincinnati Magazine -Our team is dedicated to providing outstanding client service and support -Our law firm operates on 100 percent contingency fee we do not get paid until you do The Cincinnati personal injury lawyers of Weisser & Wolf represents clients throughout northern Kentucky and Ohio, including Hamilton, Butler, Clermont and Warren counties. Call Weisser & Wolf at (513) 409-4658 or contact us online to schedule your free consultation. For more than two decades, the law firm of Weisser & Wolf has helped injured victims and families of those killed because of the carelessness or recklessness of other persons and companies. Our reputation for aggressively advocating for our clients' rights has earned us significant recognition from the legal community. Weisser & Wolf is known throughout Northern Kentucky and Ohio for achieving successful results. Recovering compensation for injured Ohio and Kentucky motorists The Ohio and Kentucky region is constantly congested with traffic that makes car accidents and motorcycle collisions a daily occurrence. Although witnessing the aftermath of a motorcycle or auto accident is common, rarely do you personally experience the shocking event. The immediate aftermath can be filled with paralysis and indecision. It is vital that everybody involved in the accident receives appropriate medical treatment. It is also crucial that you protect your right to recover compensation from the negligent persons and companies involved. Cincinnati's Car Accident Attorneys The auto accident attorneys at the Law Firm of Weisser & Wolf possess more than 70 years of combined experience successfully resolving personal injury and wrongful death cases. Our exceptional team builds a strong case to maximize your compensation for your injuries. Cincinnati's Motorcycle Accident Lawyers Because bikes lack the same protection as cars sturdy metal frames and airbags motorcycle crashes result in more severe injuries. At Weisser & Wolf, our motorcycle accident attorneys assist bikers with recovering maximum compensation for your injuries, including: -Closed head injuries -Concussions -Spinal cord damage -Paralysis -Amputated limbs -Broken bones -Lacerations -Road rash Underinsured and Uninsured Motorists Kentucky and Ohio drivers face a troubling number of car and motorcycle accidents that involve underinsured and uninsured motorists, often leaving those injured with the frightening prospect of falling into debt because of mounting medical bills. Even if you are unable to collect compensation from a motorist who lacks sufficient insurance coverage, you may have options. We thoroughly review your case to determine all culpable parties. You may have a cause of action against the transportation department or a construction company accountable for road debris that triggered the crash. An auto manufacturer that produced defective brakes would be liable under the product liability laws. Or possibly the air turbulence from a commercial truck contributed to the wreck. We name all liable defendants in your lawsuit so you do not have to absorb the costs of their careless and reckless actions. When the Unexpected Happens If you are injured in a car accident or motorcycle accident caused by someone else, you need legal expertise that represents your best interests. Contact Weisser & Wolf, the Cincinnati law firm with the experienced personal injury lawyers dedicated to recovering the compensation you deserve. You have the right to work in a safe and healthy environment. When you are injured or become ill because of a workplace accident or condition, you can recover compensation. Our substantial experience and ethical practice of law has earned us the respect and recognition of the legal community. We are honored to have received acknowledgment of our hard work, professional service and commitment to our clients: -Ohio State Bar Association certification Cincinnati workers compensation attorneys Mark Weisser and Scott Wolf have earned certification as workers compensation specialists by OSBA through an extensive application process that recognizes only those lawyers who have shown in-depth knowledge about the practice area. -AVPreeminent Peer Review RatingSM from Martindale Hubbell The rating reflects the confidential opinions of members of the bar and the judiciary about legal ability and general ethical standards. -Multi-Million Dollar Advocates Forum Mark Weisser is a member of the prestigious organization, which admits only lawyers who have had at least one case which returned a settlement or verdict in excess of $2 million. -Super Lawyers for 2008, 2009, 2010, 2011 and 2012 Through a rigorous selection process, the list names outstanding attorneys who have attained a high degree of peer recognition and professional achievement. In 1988, Mark B. Weisser and his partner Scott A. Wolf established Weisser & Wolf a premier personal injury and workers compensation law firm serving Cincinnati, Milford and northern Kentucky. 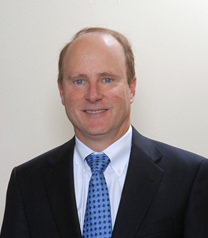 With 28 years' experience, Mark is well-respected as an authority on personal injury and workers compensation law. He is one of the first attorneys to be certified as a specialist in workers compensation lawby the Ohio State Bar Association. For 10 years he taught courses in Ohio workers compensation law as an adjunct professor at Chase College of Law in northern Kentucky. He regularly appears as a guest lecturer on Ohio workers compensation law and personal injury law at seminars sponsored by the Ohio State Bar Association and the Cincinnati Bar Association. His extensive achievements have been recognized by his peers in the legal community. He has beenAVPreeminent Peer Review RatedSM by Martindale Hubbell, which attests to his exceptional legal ability and adherence to professional standards of ethics. 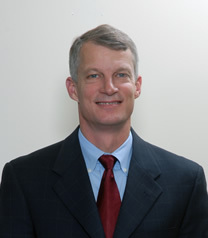 Mark was named a Super Lawyer every year between 2008 and 2012. Mark has also been admitted as a member to the Multi-Million Dollar Advocates Forum, an exclusive group of lawyers who have achieved a verdict or settlement in excess of $2 million. Scott started his notable 27-year career as a criminal defense lawyer before joining his partner Mark B. Weisser to established Weisser and Wolf a premier personal injury and workers compensation law firm serving Cincinnati, Milford and northern Kentucky. One of the first attorneys to be certified as a specialist in Ohio Workers' Compensation law by the Ohio State Bar Association, Scott has proven to be a knowledgeable advocate on workplace injuries. His exceptional legal ability and adherence to professional standards of ethics has been recognized by his colleagues, and he isAVPreeminent Peer Review RatedSM by Martindale Hubbell. He was designated as a prestigious Super Lawyer and won the Outstanding Service Award from the United States District Court of the Southern District of Ohio. 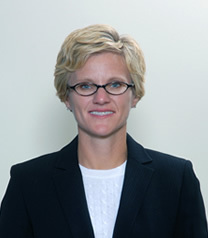 Lisa M. Clark joined Weisser & Wolf in 2002. Born in Cincinnati, Lisa returned to her community after admission to the Ohio Bar to provide injured and disabled individuals in the area with professional, dedicated legal counsel. She has focused her 14-year career on representing claimants in workers compensation claims and Social Security Disability benefits. She appears regularly before the Industrial Commission of Ohio andSocial Security Administration on behalf of her clients, and litigates cases in Ohio state court and United States District Court for the Southern District of Ohio. Lisa and her husband are proudly raising two children.